Welcome to 368 Edison Road, a home that matches the best capes in Town. Not only do you get a home that needs no updates, but it is one with all modern amenities already right there for you! Let's take a tour of the home from our perspective. Coming to 368 Edison, the first thing you notice is the curb appeal of this stunner. Not only are the driveway and the flower beds and driveway accented by Belgium blocks, but you can tell the masonry is new. The red on the home really allows this home to stand out in a special way, and the paint job is so new and so pristine, as if the best painter in the world did the job. Upon entering, there is a mudroom/vestibule and coat closet, with a windowed door that allows you to see inside. The large living room greets you--with multiple windows and a large bay window on the front of the home. Hardwood floors and a ceiling fan really round out this room. Even on the darkest days, you can relax without any lights on, thanks to all the natural light permeating the spaces. The next room is the kitchen, which can be seen from the living room thanks to a large cut out of the wall that makes the spaces feel more open. The kitchen has corian counters, stainless steel appliances, new recessed lighting and a great chair rail along the side. Another ceiling fan keeps the wind moving in this airy home. 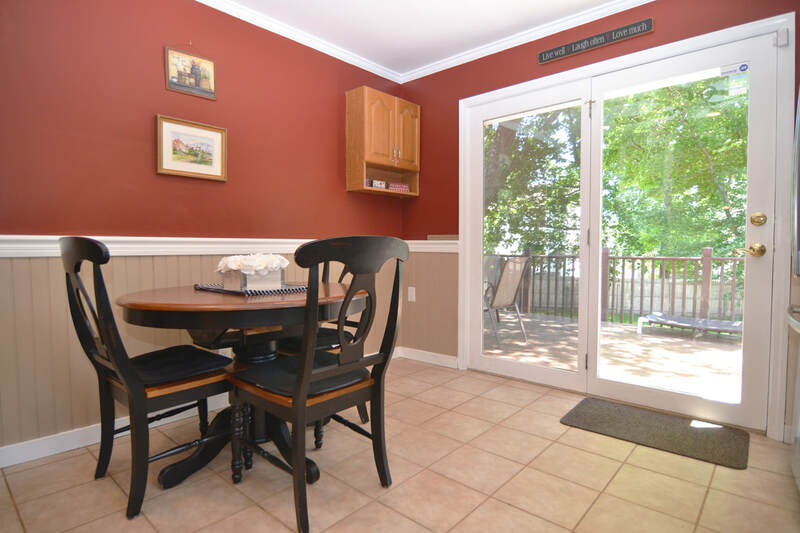 With plenty of space for a table, and a deep sink, nothing caps this room off like a large window/door to the deck and back yard. 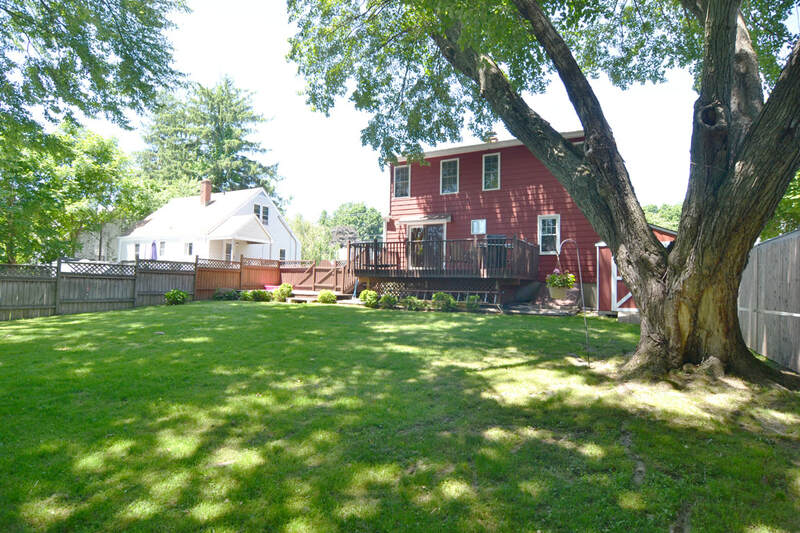 The back yard is the best you will find in Trumbull under $400,000. Not only does the shade provided by the trees makes it cool in the summertime, but it is level and fully fenced for your pets. There are TWO decks, one at the level of the kitchen, and another a few steps downs, making this home the perfect summer spot for friends. The decks are newly stained/painted, and the continuation of a fully updated home make this back yard perfect. 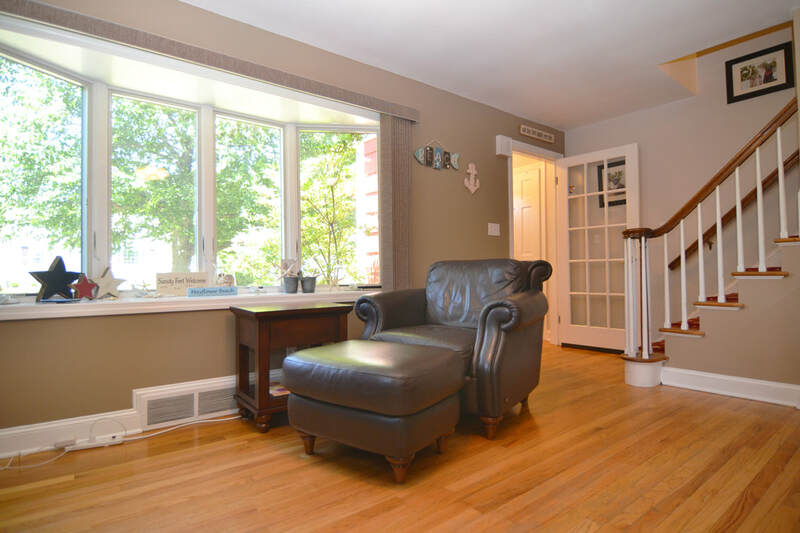 Back inside, the main level also has two full bedrooms that feature pristine hardwood floors. One future buyer might convert a bedroom into a dining room or additional family room, or it might be perfect for a growing group. Luckily, there is a large bathroom that also has many updates, that needs no future work. The second level has two bedrooms, also with hardwood floors. What sets these rooms apart are their size, both expanded with the dormers done by a previous owner. One bedroom serves as the master, and the second as a work out room and expanded closet for these shoe and dress lovers. The large bathroom in between is unique for a cape like this--it has a stand up shower AND a jacuzzi tub, with plenty of space to add a double sink vanity. 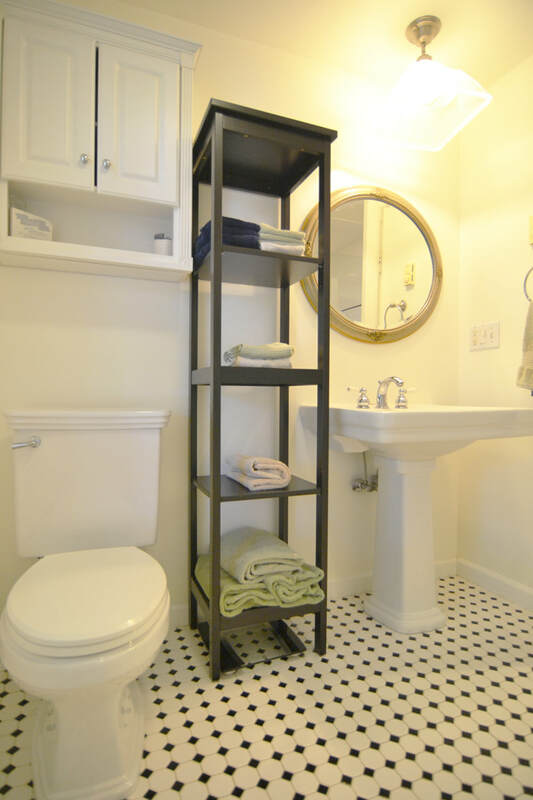 The subway tile and many updates make this bathroom a great place to relax and enjoy the amenities. Let's not forget all the nooks and crannies for extra storage, extra space, and more. Like the rest of the home, the windows are double pane and newer. The basement has two large, finished rooms, with small windows to let in natural light. There is also plenty of storage, and newer furnace and hot water heaters. Laundry is down here as well, but the basement is light, spacious, and dry. The air conditioning system was installed in 2016, making the heating and cooling mostly new. Thanks to all the updates, not only is it ready to move in to, but it has low upkeep costs thanks to efficiency of the windows, insulation and more! 368 Edison Road in Trumbull is the perfect home for today's buyer. Listed under $350,000, this home does not have an equal out there right now. It truly amazes, and leaves a future buyer with 4 beds, 2 full baths, a large, flat back yard, new central air, and no need to do any updates in the near future. See it QUICKLY!